Offering you a complete choice of products which include biomass briquettes. We at EcoStan manufacturer the best quality of Briquettes, the raw material is tested to ensure its quality. The high qulaity material are only taken to make the Briquettes. 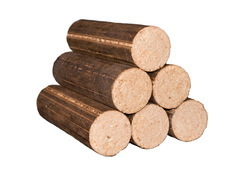 We have the briquettes avalaible in the various sizes such as: 60mm, 70mm, 90mm, 100mm.